T +1 473-435-SEON Juris Chambers, Brigade House, Lucas St., St. George’s, Grenada, W.I. Since 2000, Seon & Associates has continued to provide stellar and dynamic legal services in both traditional and emerging civil fields, with dedicated efficiency. From complex international corporate transactions to family disputes – contact us to find out how we can represent you. Serving each of our clients with professional enthusiasm and attention to detail, no matter the profile. We’re focused on getting it right, the first time; and it’s always done with integrity. Seon & Associates – Attorneys-at- Law, Trademark Agents and Notaries Public. 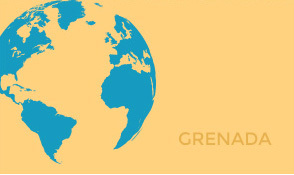 We are a leading general civil practice law firm in St. George’s, Grenada, comprised of three resident Attorneys and two non-resident Consultants, and specialized in providing prompt and dedicated skilled legal representation. Our firm expertly provides a full range of civil legal services to a diverse client base of national and non-national individuals, corporate entities, and statutory bodies, with an emphasis on detailed and practical advice, and client satisfaction.